Join our summer project and discover how to find a job that not only brings money but also happiness! Job market might seem scary and we want to support you in getting to know it, explore it and find ways how to create your dream job. All of this in a nonformal, experiential way together with people from different corners of Europe. Work It Out is a ten-day youth exchange for those, who are busy with a question how to find or create work that you will enjoy, you will find it fulfilling and you will be paid for it. You will meet like-minded people – those who don´t want to experience stress, boredom and dissapointment at work. 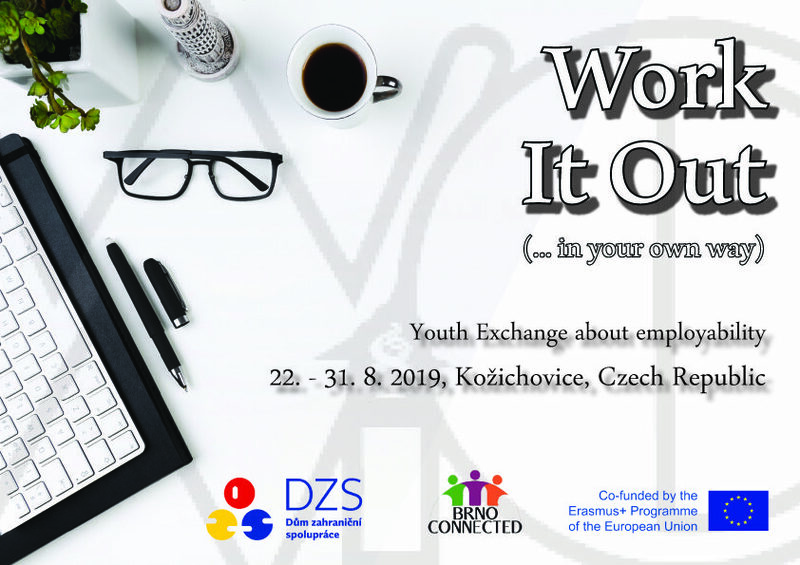 In an international group with people from the Czech Republic, Bulgaria, Lithuania, Romania, Italy and Greece, you will explore the topic of work from different angles. You can join the project as participant or as group leader. ready to support us with carrying out the project. If you have any questions, feel free to get in touch with us on workitout2019@gmail.com.